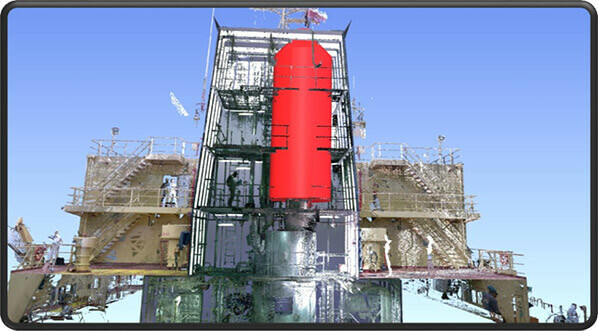 NAVAL-DME after careful consideration of the demands arising during a 3D laser scan aboard a vessel choose Leica BLK 360 as the primary equipment. 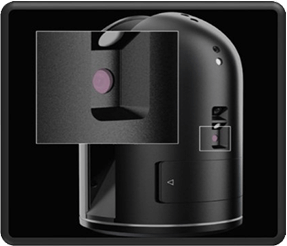 BLK 360 combines unique features that reduce the required survey duration. 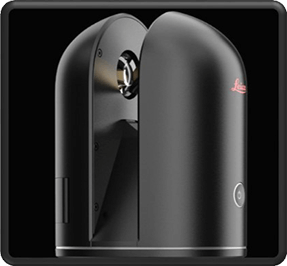 The Leica BLK360 is a professional 3D scanner made by Leica, a manufacturer based in Germany. This compact 3D scanner uses the laser 3D scanning technology to capture its environment in 3D. In addition to its LiDAR (Light Detection And Ranging) sensor the Leica BLK360 offers infrared sensors for thermal imaging and 360° cameras. These cameras can perform spherical imaging with HDR support and LED flash, which creates 150 MP spherical HDR images. 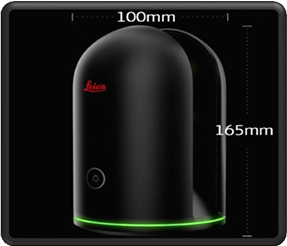 It takes only 3 minutes to the Leica BLK360 to perform a full 360° capture. The BLK360 single button design, iPad Pro user interface and custom machined quick release tripod fitting, creates an intuitive user experience. 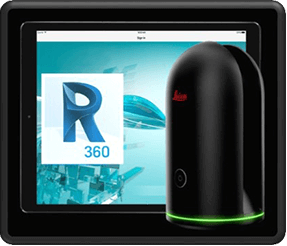 The Leica BLK360 has been developed in close collaboration with Autodesk, the CAD software editor. 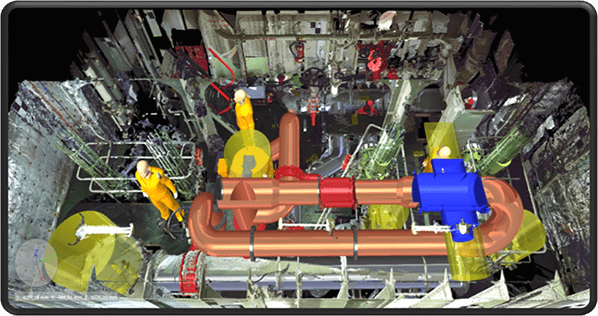 The 3D scanner is compatible with the Autodesk ReCap 360 Pro Mobile software. Weighing just 1kg and having overall dimensions 100mm by 165mm the BLK360 scans what you need, providing you with point cloud data and HDR imagery. It is completely wireless. Data is transferred via Wi-Fi. No need for reference spheres or markers. On-the-fly image and point cloud processing in the field. Features the newest, integrated thermal camera technology. 3 times faster than current technology.